An interview with Ricky Harris, the first dedicated figure skating choreographer, and author of three books on figure skating and choreography. Ricky Harris skated with the Sonia Henie show, and created a series of successful workshops that are being continued by American Ice Theater with Jodi Porter. She did choreography for Evan Lysacek, Michelle Kwan, Babilonia/Gardner, Blumberg/Seibert, Scott Hamilton, Linda Fratianne, and so many more. Ricky Harris talks about what it was like being the first choreographer to sit in the Kiss & Cry, how Scott Hamilton wouldn’t initially take direction from her, and how Frank Carroll and Don Laws were some of her biggest supporters. 1 hour, 8 minutes, 37 seconds. On her most embarrassing skating-related moment: Oh my gosh, I’m trying to think if I ever had an embarrassing moment. There are a lot of things that other people would think was embarrassing, but I wouldn’t. Something that happened to me that was uncomfortable for everyone else was when I was working with Scott Hamilton, and he wasn’t very happy about taking instruction from a woman. I was doing New York New York for him, and the only way I could get him to do anything was to talk to his coach, and then his coach would show it to him. And then he would do it. I don’t call that embarrassing for me at all, but he was the one who should have been embarrassed for doing that [laughs]. On winning the 2013 Professional Skaters Association lifetime achievement award: I was very pleased and surprised. That was the second one that I’ve been awarded, the American Ice Theatre awarded me one six months ago. But Jodi [Porter] came down [to Mexico where she lives] with a little trophy, it was adorable, and a book that she had made of comments from people that I had worked with before. I loved reading that little book, I still have it and I read it every once in a while, comments from former skaters telling me how much they liked my work with them. On starting in dance: I always wanted to be a dancer from the time I could remember. I used to dance around the house all the time. But my mother and father had six children and they couldn’t afford to send me to dancing school, so I just would dance myself. And the woman down the street was a drama teacher, so my mother would go and do ironing for her in order to get some free lessons from her. And then on Saturday mornings, at the May Company department store in downtown Los Angeles, they would hold a dance class for the children so that the parents could go shopping. And so every Saturday we’d get on a bus and go downtown, and my mother would drop me off on the roof and she would go shopping while I took this lesson, which was my biggest thrill of the whole week [laughs]. On starting in skating: I started going around to all the dancing schools in Los Angeles to see if I could get in and take dancing lessons. By that time I was about 18, and they would tell me that I was too old, that I would have to have started by three or four or five years old. And they would turn me down and say, there’s no way you’re going to be a professional dancer starting today. And they all told me the same thing and I was getting really discouraged. So I went on a date to a skating rink, and when I walked in, there were couples skating around to organ music [laughs], and I thought, you know what, if I can’t take dancing lessons and learn to really dance, then maybe I could learn to skate. So I started going after work. I was working as a bookkeeper in an electronics shop, it was owned by three brothers and the younger one started dating me, and that’s how I first went to the skating rink [laughs]. So I started going after work every night, and one day a week the Los Angeles Figure Skating Club would have their session. And that’s when I started watching everybody, and seeing which teachers I liked and which I thought looked good. And there was a motherly woman who would come and sit down next to me, and we would talk. And then one day she said to me, do you take lessons? And I said, no, I’m not good enough for anybody to teach me yet. And she said, well, if you could take lessons, who would you take from? And I pointed to this guy on the ice, I didn’t even know his name but I thought he was a good teacher and I liked the way he worked with his students. And then after the session was over, she called him over, because she was his mother [laughs]. And she said, Gene, dear, this lovely young lady would like to take lessons from you. And he said, oh, Mother, I’m just booked solid, I don’t have any time. And she said, oh yes you do, you can come after church on Sunday and give her a lesson. I was so embarrassed [laughs]. And when he came, I could see he wasn’t very enthusiastic, and the first thing he said to me, was, well, what do you want to learn? And I said, what do you mean? I want to learn to be a good skater, and whatever that takes, that’s what I want to learn. I think that kind of woke him up. So he would teach me a little differently than he taught anybody else. He would say, just follow me, try to do what I do, don’t even think about it. So we did that for a while, and then he started teaching me technique. He got me through my second ice dance test, and he [Eugene Turner] was a national senior champion and national pair champion, so he was a great teacher. And by that time World War II had started, and my sister had joined up as a WAC, and I wasn’t old enough to join although I really wanted to. And when the war started, guys started leaving to join the service, and finally Gene did also. And as soon as I turned 21, I joined the WACs. Most of the time I was stationed outside Houston, and I took my skates with me, and I would get passes to go into town to practice at this club. The club wasn’t very well organized and I started talking to them, and said they should get in touch with the USFSA and get chartered. So I helped them write all these things so they could join the USFSA, and I was their first instructor. And that’s when I turned professional. On joining Ice Follies: I asked Bert Clark, who was the manager of that rink, if he would mind if I came in while the kids were in school to practice. And he said, no problem, come in any time you want to. So that’s what I was doing, and I was practicing very hard every single day. And one day Eddie Shipstad from the Ice Follies walked in the rink, I didn’t know who he was, but I knew a man was standing there watching me skate. And what Bert told me later was that Eddie came over to him and asked who I was, and Bert told him that I was in the services, and stuff like that. And he said, well, give me her number, I really like her style. And I didn’t know any of this. So about two weeks later I got a telegram from the Ice Follies asking me to join the show in San Francisco. I was shocked [laughs]. I only found out what had happened later, when Bert told me. I was with the Follies for about three years, and then the Sonja Henie show came up. And I thought, God, I’d love to get in that show. And they were interviewing people in Westwood on a certain date, so I went there and the choreographer, Catherine, I can’t think of her last name, got us to go on the ice and do whatever we wanted to do. And she was watching everybody and picking people out and telling them to go over to this area. And finally she called me, and I was, oh, gosh, I hope so. I had my fingers and toes crossed [laughs]. And she selected me. When I got into the show, they had a short number for three girls which she let me be in. I was so pleased. On being in the Sonja Henie touring ice show: Well, it was kind of interesting, really. She wore a mink to the rink every day, which we called her ‘rink mink’ because it had a hood on it. She didn’t have very good hair, so what she would do is put the hood over her hair so that you couldn’t see her hair when she went in and out of the rink. And she never could figure out how I stayed at the same hotel that she did, but I was getting some alimony [laughs] and I figured I might as well stay at a nice place. She wasn’t very fond of me. Her mother was fond of me, and every time she would think about getting rid of me, her mother would talk her out of it. I really would go out there and skate and sell myself to the audience, and I always worked really hard, not for her, but for myself. That’s the kind of person I am, if I’m going to do something, I’m going to do it well or I don’t want to do it. So I was with her show and made a tour, and what happened after that, let’s see – I left the show and thought I’d stay in Los Angeles for a while. And I met my future husband, and he wasn’t very happy about me gallivanting all over the country, and he said, you have to stay in one place, we have to get to know each other. So I got a job at the Shirley Fabrics Company in downtown Los Angeles, as a secretary and receptionist, and I hated it. Hated it. And I got a call from a friend one day asking me if I wanted to be in a show in Hawaii. And I said, oh, I really would, but I’ll have to see if I can get permission from my future husband [laughs]. And of course he was completely against it. And what happened was, I didn’t go, and we ended up getting married, and I had two marvelous children that he helped me with. And I decided that they had to be creative, because I know that to be successful you have to be creative. No matter what business you get into, you have to be creative and you have to approach everything with a creative mind. So my daughter tells me today that the first words she ever heard me say were, be creative [laughs]. Every time they’d come to me with a problem I’d say, you have to be creative, and if you think about it enough you can find a way to do it. I was making them that way by not helping them immediately, by letting them think and find a way themselves. And they both are very creative people, so I’m very proud of my children. On starting as a skating choreographer: I met Michael Kirby when I was in Sonja Henie’s show. We used to skate together and have fun and kid around, and I knew his wife really well, and we were all friends. And when Michael got out he was given a job as chairman of all the Ice Capades Chalets in a certain region. One day he said, I started thinking about you and all the things we used to do together on the ice, and that’s what these kids here need. They don’t have a clue as to what to do when they get on the ice, they have no structure. Would you consider coming in and working in the Chalets? And I said, sure. So I would come in and not only hold my choreographic lessons, but I said, the only way I’ll come in is if you build a ballet studio for me. So they built a room upstairs that used to be a restaurant into a ballet room, and I informed everybody that wanted to take lessons from me that they had to be in the ballet school. And of course some of the mothers started complaining and saying, oh, she’s just trying to earn extra money. Some of the skating mothers are really something. I was teaching Evan Lysacek and [his mother] called me over and said, I don’t want you to make a sissy out of him. And I said, what do you mean, I’m just giving him choreography, I’m not making a sissy out of him. Anyway, that’s how I started working with skaters. I would do choreography for them, and then I thought, they really have to learn some of these techniques, so I started holding a workshop in the ballet room for skaters. And that’s how I started my workshops. And as I progressed, I started adding things. I knew how I wanted them to come out, but I had to go through the period of, what do I do first, and second, and so on, to get them to do all these things. And I realized that the most important thing was to get them to know about music, and nobody had ever really thought of that. So I started teaching them different things that had to do with music, like what is piano, what is forte, what is staccato, legato, things like that. And they had to do exercises to show me how you do each of these things, and then it went on to more difficult things. But the most important thing I think was, after they started learning all of that, I would say to them, when they would hand me the music that they wanted me to choreograph to – I would say to them, first you have to take this music and listen to it over and over and over again, and you have to write a story about the music. You write the first line and under that you put whether it’s forte or legato or staccato, all the musical terms, and that will show you how you have to move. And that was the big step-up, that’s what really did it. And to this day I have never choreographed a program for a student that they didn’t do that. On starting workshops for skaters on expression and movement: I realized that they had to really study these different things that I was teaching them. They were copying me, but they didn’t know why they were doing it. They had to understand why they were moving this way, or why I wanted their arms to be there, or why I wanted their body to be in a certain position. I wasn’t interested in just being their teacher all the time, I wanted them to teach themselves. I wanted them to learn all this stuff. One of the reasons why Jodi [Porter] is doing so well is that she took it upon herself to really learn everything. And at that time the Russian skaters were winning everything, and they were also taking ballet from the Bolshoi every day. Our kids weren’t taking any of that, and that’s why I told them they had to be in the dance studio for at least one lesson a week. And I taught ballet, jazz, modern, and it all worked out. Once in a while somebody would rebel or the parents would rebel, so I might have to sit down and explain everything the same way like I’m talking to you. And most of them did it. On the ‘energy ball’: I’ve been laughed at so much because of the ‘energy ball’. I was at a PSA conference once and a couple of guys came out of the meeting they were in, and they yelled ‘watch my energy ball’ as they jumped into the pool. I was cracking up [laughs]. It occurred to me one day that I was asking kids to do things that they didn’t really feel, so I started experimenting in front of a mirror in my studio to understand why they didn’t feel it. And I realized that they weren’t letting movement go through their bodies. So I thought, well, I’ll just put a ball in my body or something, and watch it move, and why couldn’t it be an energy ball? So that’s what I started calling it. I would start by putting the energy ball in my stomach, and if you put it in your stomach, your stomach becomes concave. And if you put it in your hip, your hip sticks out. And if you put it in your knee, your knee will bend. It really taught them how to move energy around in their bodies. And I also told them, the energy is not only in your body, it’s around your body, about two feet around your body in your circle. And I proved it to them because I always wore something around my neck, like a locket, that hung, and I had the kids lay on their backs, and I took the pendant and hung it over them and told them they couldn’t move, not to breath or anything. And the pendant would start moving, all by itself. And, believe it or not, it would always move in the direction of where they were born. It sounds crazy, but it works. And I told them, you go to the market with your mother or father, and you hold your pendant over the fruits and vegetables, and if the pendant moves, then you know that it’s fresh. There’s energy in everything. On being the first choreographer to attend competitions and sit in the kiss-and-cry: Oh, I got a lot of static over that. I just decided, I work hard with that girl or that boy, I deserve to be there to help them when they’re skating. I couldn’t figure out why I would be banned, so I took it upon myself to walk down there and stand there. And the coaches finally got so used to me being there that they started communicating with me [laughs]. The coaches that worked with me, they understood what I was doing so I had no problem with them at all. But there was a lot of whispering behind my back, who does she think she is. Well, I thought that I was the choreographer and I belonged there [laughs]. On skating parents: Any time a parent wanted to talk to me or had questions, I would always set up a meeting and answer their questions. When Evan Lysacek’s mother said I was making a sissy out of him, I tried to explain things to her, but she wasn’t a very good skating mother as far as I was concerned. She was so protective of him all the time. But if I was having even a little bit of a problem, I would ask for a meeting with the parents, and usually it was the mother because the fathers weren’t around that much. And I would sit her down and give her all the time she wanted, she could ask all the questions she wanted, and I would answer them to the best of my ability. And I found that really worked. Sometimes the parents would try to stop me when I was walking from the ice to the dressing room, but what I would do was take out a piece of paper and act like I was writing, because that was my time. If they wanted to make an appointment for a session with me, they could have as long as they wanted. My whole thing was, I want to put out a good skater, a dramatic skater, an emotional skater, and whatever it takes to put that out, I will do. You have to have that communication with the parent, if you’re going to spend a lot of time with their child. There was one parent that I really loved, and her daughter was a beautiful skater because she took a couple of ballet lessons every week. 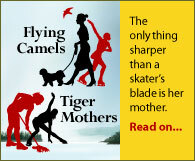 But her mother got in an argument with one of the other mothers, whose daughter was a competitor to her daughter. So I called her over, and said, Beverly, I want you to go sit in your van and don’t come in the rink at all. Your daughter can take care of herself, and I can watch out for her too. So she started writing poems in Spanish, and then she started putting music to it. And she actually had some CDs made, she had this whole thing open up for her, and she didn’t need to come in the rink. I said, you don’t have to bother with other parents, just do your own thing, don’t listen to what anybody else says. And she did, she stayed out of the rink, and she did good [laughs]. On working with Linda Fratianne, and Tai Babilonia & Randy Gardner, and Scott Hamilton: Linda was great, and she had a great mother. It was so easy to work with her, because no matter what I told her to do, she would try her best to do it. And her mother never bothered me. Every once in a while I’d ask her if she needed to talk to me, and she’d say no or yes, but I never had any problems with her at all. I was with Linda when she went to Worlds one year, I think it was in Germany and she finished second. She was just really great. When I first started going to the rink to work as a choreographer, I went to the rink where John Nicks was, and he wasn’t very happy about that. He didn’t know who I was, or what kind of work I did. He had no idea. It was really funny, when I got out of the service I had these skating boots that were really high, and it never occurred to me to look at what everyone else was wearing. And everyone laughed when they saw my boots, and I said, what’s wrong with my boots? [laughs] So they told me, and I immediately went to the bootmaker to have them cut down. I liked working with Tai and Randy. John Nicks wasn’t too happy because I was putting things in [their programs] that he hadn’t thought of, but I didn’t pay much attention to him. I had a job to do and I didn’t really pay attention to what anyone else thought. I was very centered in my job, and all I thought about was the students I was working with, and how to make them look as good as possible and to bring out the music. With Scott, I don’t know if he didn’t like me because I was a woman or if he just didn’t like me [laughs]. He was doing a show in San Diego, and Don Laws, his coach, came over and stayed at our house. And while Don was there, he said, I’d love to do something different for Scott, can you think of anything? And I said, I’ve had an idea for many years but I haven’t found anybody that I think can do it. It’s from the ballet Sylvia and there’s a small musical phrase in there that I think we could do something humorous with. And I got the record out and played it, and started improvising to it, and he started cracking up. He said, I would love Scott to do that. We’ll try it, but don’t be disappointed if Scott won’t do it. So the next time at the rink when Scott had a lesson, I said, Scott, I want you to listen to this music, I want to see if you can do this. First I showed it to him in the ballet room, and he wasn’t interested that much, so I said, let’s try it on the ice and see if you feel differently. So we went on the ice, and I didn’t do it, because I didn’t want him to feel that he couldn’t do it just because I could. I just explained it to him, one step at a time, and I said, this is very humorous and the audience will laugh, but they’re not laughing at you, they’re laughing at what you’re doing. He used to get very upset if he couldn’t do something, he would go to the boards and kick them [laughs]. But no matter what Scott said or did, the coach would make sure that he was doing what I said and was doing it correctly. Later on, he had to do something to do with the Statue of Liberty, so I did a solo for him, all very Americana. And he later told me that was his favorite piece, and whenever he had to choose something to do, that’s what he would use. So he did learn to appreciate it. Some guys are just really difficult about working with women. He worked with other women later on, so I guess it was all right after a while. On her books: Choreography and Style for Ice Skaters was very well received, everyone started buying it. Some of the parents of the kids in my workshops said, don’t you have anything written that the kids could read? And that’s what gave me the idea to write it. I coined the phrase “choreography and style” and the ice skating community never asked permission to use it, they just went ahead and started using it [laughs]. But I didn’t care. At the time I would get mad, the least they could have done was ask me. And then I thought, the coaches aren’t going to be tempted to read the book because it’s for skaters. 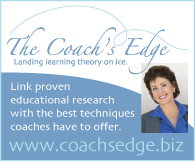 So that’s when I wrote the second book, Coach’s Manual: Choreography and Style for Ice Skaters. It has many of the same things in it, but the first three chapters of that book is really the philosophy of choreography. I think the best book for any skater to buy is the second one, even though it says it’s a coach’s manual, because it has more information in it, and it’s good information that they can really use. On working with Michelle Kwan: I worked with her when she was six years old. She was okay to work with, but her father was a thorn in my side all the time. He felt he could teach her better. In the rulebook it said you had to have this certain spiral sequence, so I put this really beautiful spiral sequence in there for her. And the next morning she came in and I said, let me see the spiral sequence, because I want to see how it looks. And she said, oh, my father took it out. And I said, what?? And she said, yeah, he thought I should have another jump in there. So I went and got the rulebook and underlined where it said about the spiral sequence, and took it to him and said, you cannot take that out, I don’t want you to take that out, and I don’t want you to take anything out without consulting me, and you read this. And I left the rulebook with him. She wasn’t really in my workshop, I just had to teach her on the ice, so I had to double up on what I was teaching her. And when she was trying to do something and it wasn’t coming out just right, I’d say, come here, let’s get off the ice. And we’d go sit where the fireplace was, and I’d tell her a story about that certain section of the program. I’d say, you have to tell a story when you skate, and the story I’m telling you is the one that you should use while you’re skating. And I would say, what would you do to make that story come alive? That’s the way I taught her. And she was a great skater when she was young. She could skate better than all the senior ladies. On the 6.0 pin that Don Laws gave her for her 60th birthday, and the SSSO club: I still have the pin. The club was really for the professionals. When they turned 60, they could join it, but now that I think about it we haven’t really followed that. I know that when [referee and judge] Ben Wright turned 60, he got to join the club. What we would do is make a pin, the 6.0 pin with their birthstone in it, and give it to them. For my pin, it has a diamond, Don told Helen McLoraine, Scott’s supporter who paid for everything for him, that it was my birthday, and she said, well, let’s have a dinner party. And that was when he gave it to me. I did a lot of work with Don over the year, I did workshops at his rink and worked with a lot of his skaters. And we had a lot of fun, we were laughing all the time. We would be dressed to the nines, and we would come into the rink with our arms linked [laughs]. Beverly Menke, whose daughter he taught, said to him once, were you in love with Ricky? And he said, who wasn’t? That was nice [laughs]. On creating the PSA rating system for choreography: I’m sure that a lot of things that I created have been changed, or taken out, or whatever, but when I made that rating, I knew that if you passed it you would be a good choreographer. They all thought that I made it too hard. The coaches themselves were afraid that if they took it, they wouldn’t pass it, and they all voted against things in it. I had a hard time getting it through. It wasn’t that I deliberately made it hard, I just put in questions that a good choreographer should know. One time they had a judges’ seminar somewhere and they asked me to speak to the judges. I said sure, but I didn’t realize how tough it would be. It was very difficult for them to understand what I was talking about, and I thought I was explaining it very simply. I started playing different music to show them examples, and they didn’t like that music. One piece of music that I loved, by Boulez — I used a lot of his work because it was different than other people’s music and I liked it — I played the piece and they all looked at me afterwards and said, oh, that’s terrible, that’s just awful music. So I went down on the ice with a senior skater that I had asked to come with me, and I said, look, I want you to go out and skate to this music and do all the artistic things that you can think of that we’ve worked on. And when they saw him skating to the music, they all thought he was wonderful. And I said, it’s the same music that you heard upstairs. And they didn’t say anything [laughs]. On being on television: I did a television series when I lived in Newport Beach, for the Newport Harbor television. What I did was, every Monday I would write up something and then talk about it creatively and in movement. And I called it Dancethenics. And I was on Oprah. It was a show about people who didn’t look their age, and somebody sent her my name, I know I didn’t talk to her. They asked me to call and talk to one of her producers, and then I was in Chicago and I was supposed to do a workshop, and they called me and asked me to come to the television station for an interview. And I said, no, I can’t, I have to work [laughs]. And they said, oh, can’t you do this just for a little bit? And I said, no, I have a contract, I have to do the work for this professional. And they said, oh, why don’t you invite her, and she can come too. And they sent a limousine to come get us, and we went in great style to the studio. The youngest one there was 45 and the oldest was 83. And I was 67 at the time. It was really funny, because they asked one girl in her 40s, how would you walk into a room and try to impress the people that are in the room? So she walked in like a model would walk, and I said, oh, no. So they said, well, how would you do it? And I said, well, I wouldn’t walk in like a model, into a room of people that you would like to meet and talk with. So I showed them how I would walk in, which was like a normal walk but very energetic. And Oprah said, can you explain that walk? I said, yes, when you put your foot down, you put the ball of your foot down and the heel down at the same time. And I showed her the difference when you don’t do that. And she said, come here and show me how to do that [laughs]. So I was up there on the stage with her, with my arm in hers, showing her how to do that walk. It’s very easy to do, but it makes a big difference in how you look. On her age: People who see me never think I’m 91. I put on makeup every day, it’s the first thing I do when I get up in the morning and get dressed. Just slapping lipstick on doesn’t do it, I have to do my eyes and my eyebrows and the whole thing. WOW! Great to find this article and it being so recent. Ricky was a coach of mine and I’m featured in her book “Choreography and Style for Ice Skaters”. Although they miss spelled my, Allan Gonzales. Would love to get in touch with her. I happen upon this by Googling her. Fondest memories of Nationals was having Ricky putting her on the ice. Was 62 when she came to Cleveland. My husband John took her to dinner and he still remembers that he was proud to be escorting one beautiful lady with the best looking legs in the restaurant. We think of Ricky often with grateful appreciation of the gift of herself in our daughters life.